Welcome to the Gold City tribute web site. Gold City's latest New Haven Records project, Hope For The Journey, will be released October 5, 2018. Click the cover photo below to see the track list on the discography page. On May 9, 2017, Gold City was inducted into the Gospel Music Association Hall of Fame. All current and many former members were in attendence for the induction. Among those present were Tim Riley, Danny Riley, Chris West, Scott Brand, Thomas Nalley, Bryan Elliot, Bob Oliver, Garry Jones, Brian Free, Ivan Parker, Mike LeLevre, Steve Lacey, Jay Parrack, Jonathan Wilburn, Channing Eleton, Steve Ladd, Dan Keeton, and Robert Fulton. Congratulations to all! Gold City will release a project titled Treasures Of Gold on July 14, 2017. Although unconfirmed, it is thought that the project will be a compiliation of past hits with a few new songs recorded by the current line up. While Gold City's current website is great for staying updated on the current group, it is lacking a lot information on the group's past. 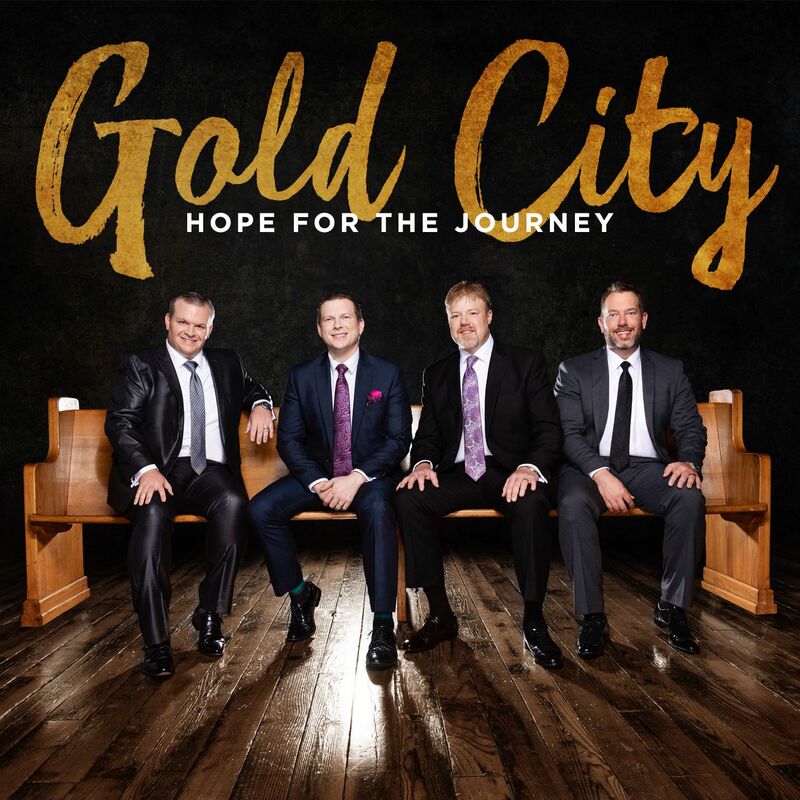 The goal of this website is to be the place on the internet to go for information on the history of Gold City and to give tribute to one of the leading quartets in southern gospel music over the last thirty years. Currently, the website primarily gives information on the recordings of Gold City and lists of all the men that have gave their talents to help make the group what it is today. In the future, there will be more on the website. Picture and video galleries will be added, more detailed information on the members of Gold City, both current and past will be provided, and hopefully much more. Also, in keeping with the website's name, there will be a place for friends and fans of Gold City to share how the group has ministered to them through the years. Click here for a message from the webmaster. Please send any contributions (photos, stories, memories, etc. ), suggestions, corrections, or comments to coomercove@yahoo.com or click simply here.